Our long publishing nightmare has finally come to an end. No, I’ve not been impeached. But the monkey on my back has, with the impending release of my first new book in over four years. 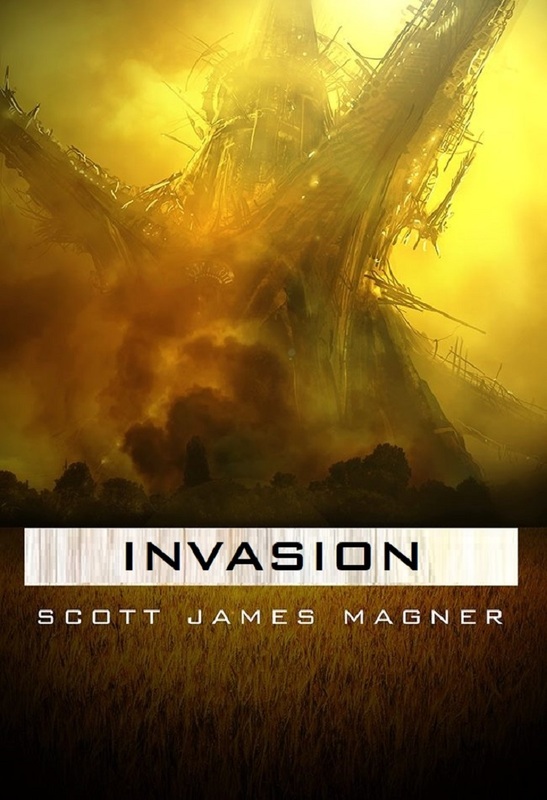 On Tuesday, February 5, INVASION kicks off a trio of novels that re-imagine and expand the universe of HOMEFRONT. It’s been a long time coming, but my work isn’t done quite yet. With one e-book “in the bag” I’ve still got two more to finalize, and three physical books to lay out in the next few months. And to get there, I’m going to need a little help. If you haven’t already done so, please pre-order the trilogy on amazon.com. I’ve got them up now with special promotional pricing, and at $1.99 a book, I’ve made it as easy as possible for you to assist. If you don’t like amazon.com, I understand. But pre-orders are what drive the publishing industry, and the price for the first book is definitely going up next week. In other news, the re-issued e-book of HOMEFRONT will be leaving amazon for good Monday night. The sales link for physical copies will remain, as will all the reviews from the last 4 years. But the temp covers are very similar to the original, and that’s where your hard earned dollars should be going. HOMEFRONT is still a good read, and sets up the universe well. Despite the 5-year-old typos I’ve removed from the new books, it’s a story I’m really proud of. And although I’m having difficulty adding my own listings for signed copies to the amazon sales page, they’re still available on my my online store, as are COMPLETELY FREE copies of the original e-book. In the next few months, I’ll be doing cover reveals and a twitter sales campaign, leading up to the release of the full-trilogy in April. In May, I’ll be adding all three e-books to my online store, as well as e-pub versions and signed copies of the physical releases. But it all starts with your support, for which I’m incredibly grateful. And if you like what I’ve done with these new books, tell all your friends!